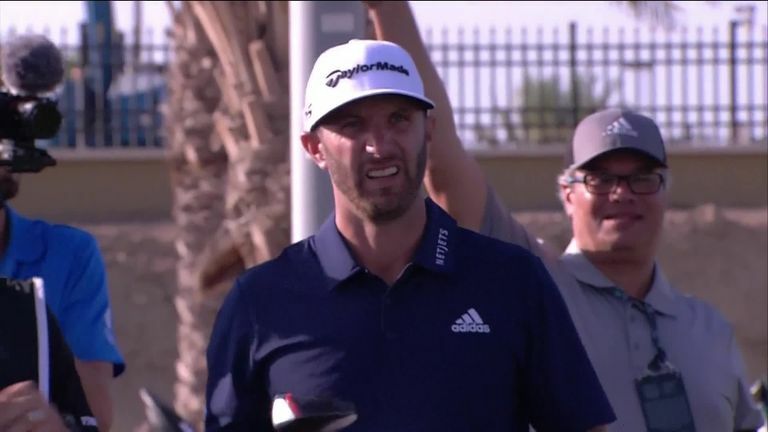 Highlights of a dramatic final round of the inaugural Saudi International as world No 3 Dustin Johnson held off Li Haotong and Tom Lewis to claim a two-shot win. 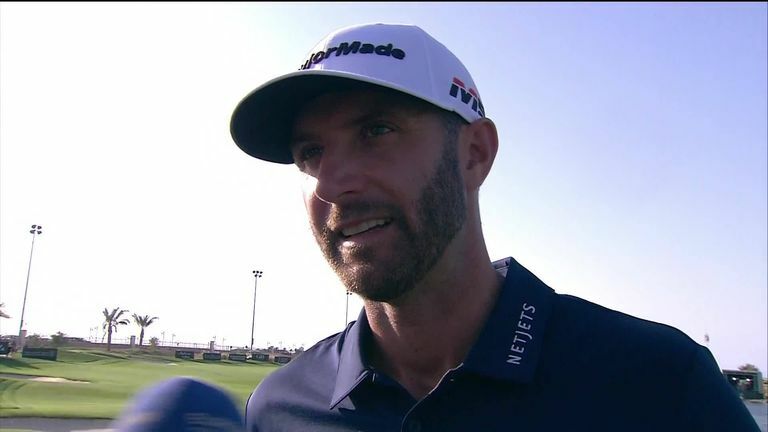 Dustin Johnson produced a strong finish to hold off the challenge of Li Haotong and Tom Lewis and claim a two-stroke victory at the inaugural Saudi International. Li did not help his cause with three bogeys in five holes after the turn on the final day at the Royal Greens Golf and Country Club, although a birdie at 15 followed by a big Johnson mistake at the 16th got the Chinese ace back in the hunt. But Johnson re-established his two-shot advantage with a clutch birdie at the penultimate hole, and he matched Li's four at the par-five last to post a winning score of 19 under par which secured his first victory in a regular European Tour event. The top two shared the lead overnight following Li's remarkable third-round 62 which featured four eagles, and the American edged in front with a birdie at the second only for Li to reply at the fourth. But they were soon looking over their shoulders after an astonishing start from Lewis, who birdied the opening five holes to get within one of the lead before his run came to an abrupt end when he bogeyed the fifth. Li then snatched the lead heading into the back nine with a delightful chip-in for an unlikely birdie at the ninth before both dropped shots at the 10th, where Lewis birdied to revive his chances of a third victory on the European Tour and his first outside of Portugal. However, Johnson then showed his class with back-to-back birdies at 11, where he came within inches of an ace, and the 12th before Li bogeyed the next two holes to slip three behind with Lewis vaulting into second when he offset a bogey at the 11th with another birdie at the 12th. But Li reapplied the pressure when he converted a sublime approach to two feet for birdie at the 15th, and Johnson then tugged his tee shot left of the green and into the ocean at the short 16th and was forced to take a penalty drop, although he did well to hole a priceless putt from 10 feet to limit the damage to a bogey-four. And Johnson showed no signs of throwing away his lead down the last as he comfortably found the heart of the green in two blows and two-putted for the winning birdie and a round of 67, while Li's closing four capped a 69 and earned him outright second ahead of Lewis, who could manage only pars at each of the final six holes. Australian Min Woo Lee raced into a fourth-place finish in just his second start as a professional after he closed with an impressive eight-birdie 63, while Alex Levy completed the top-five as a 65 lifted him to 14 under par. Ian Poulter enjoyed a solid finish to his week with a 66 that earned him a share of sixth place with world No 5 Bryson DeChambeau (65), while the round of the day went to Welsh Veteran Bradley Dredge, who stormed home in 29 with an eagle and four birdies to return a 62 - finishing on nine under.